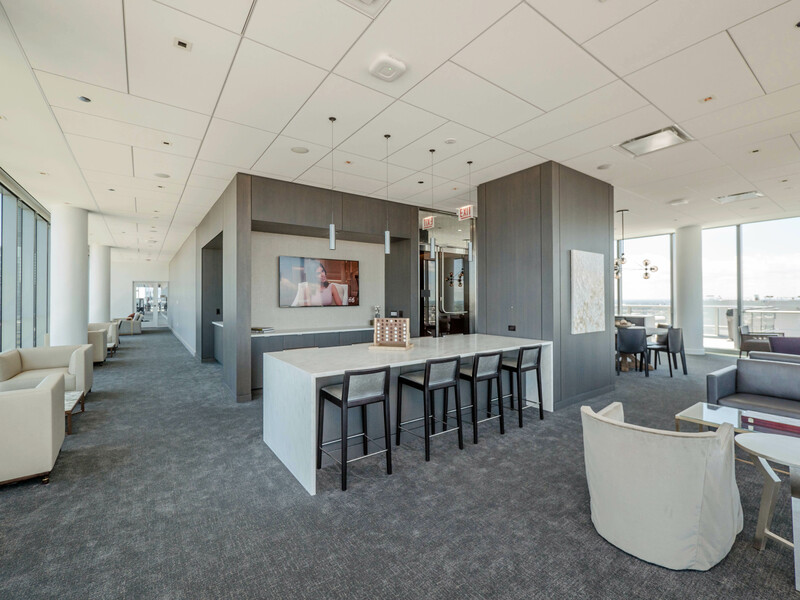 Wolf Point West is a stunningly sleek apartment tower at the convergence of the three branches of the Chicago River. It boasts spectacular views, luxury apartments, and amenities worthy of the iconic setting. 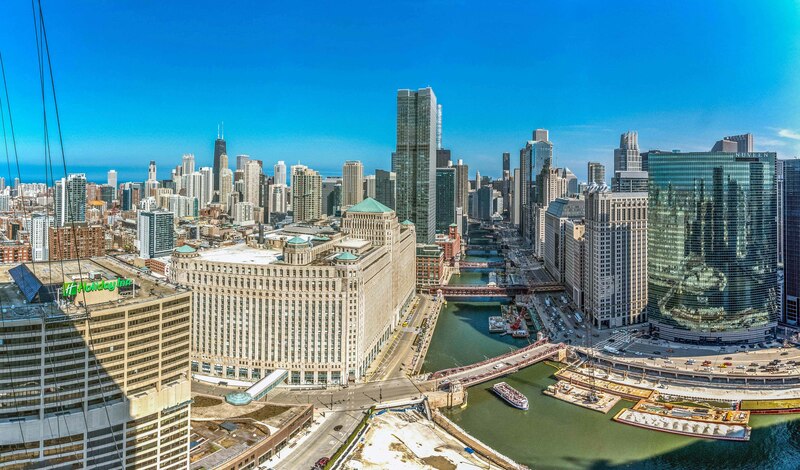 It’s truly a must-see for anyone looking to rent in River North. The award-winning architecture firm of bKL highlights some of the elements that make Wolf Point West exceptional in the video above. Studio apartments start at $1,997, convertibles at $2,254, 1-bedrooms at $2,322 and 2-bedroom, 2-baths at $4,313. A 3-bedroom with 2 ½ baths at the penthouse level rents for $9,160. Join us in the videos for narrated walks through five Wolf Point West apartments. 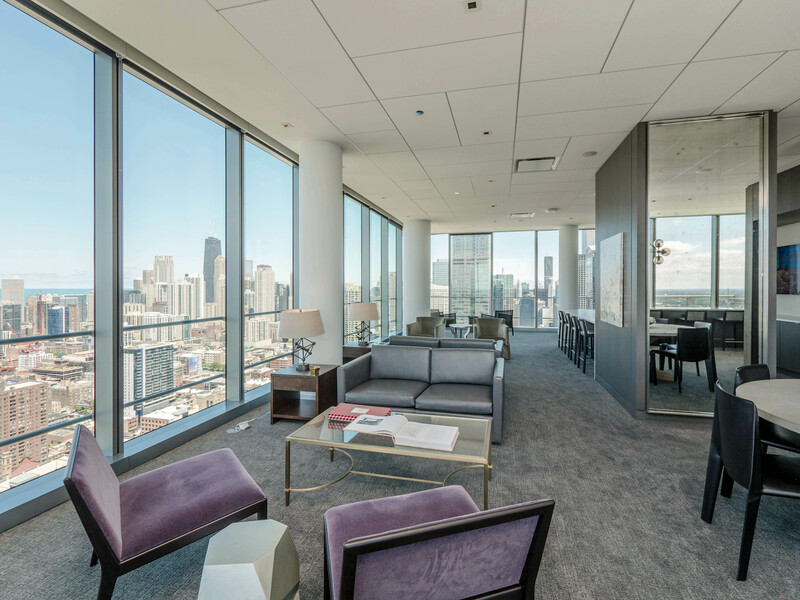 Start your tour of the amenities at Wolf Point West on the 46th floor. 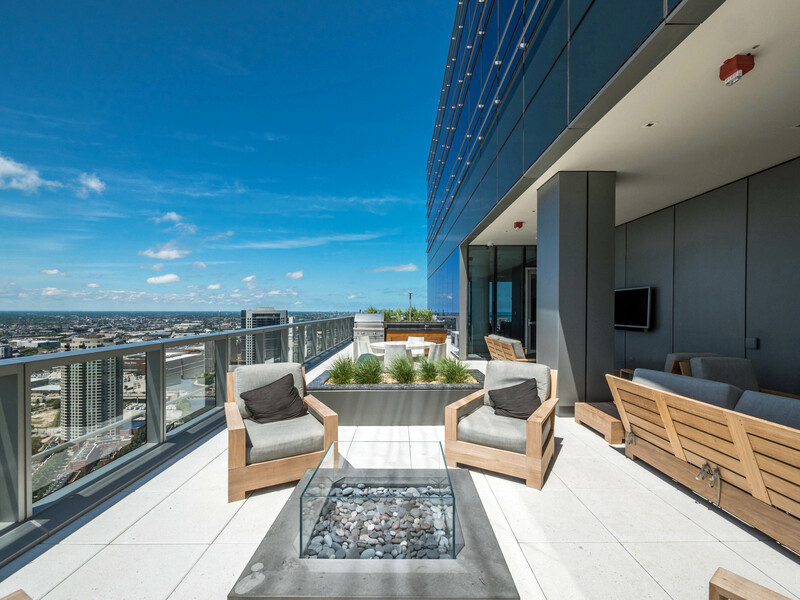 Take a seat in the resident lounge, and revel in the sweeping, dynamic skyline views. The lounge is an ideal spot for relaxing with a group of friends, meeting your neighbors or hosting a business meeting. 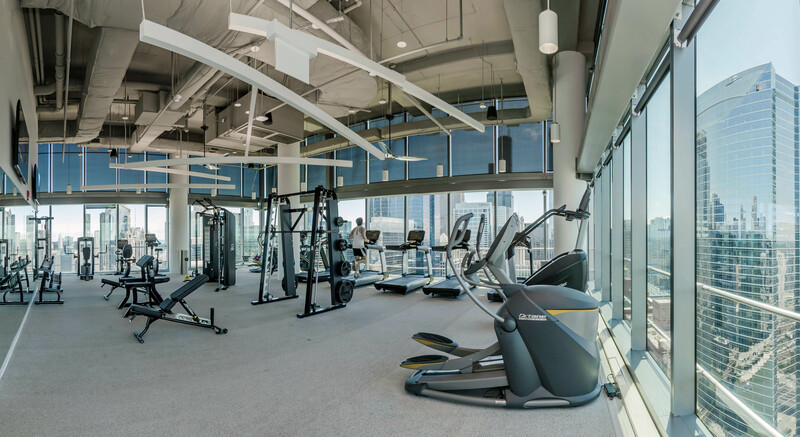 Stroll toward the large fitness room along a wall of windows lined with cardio and strength-training equipment. 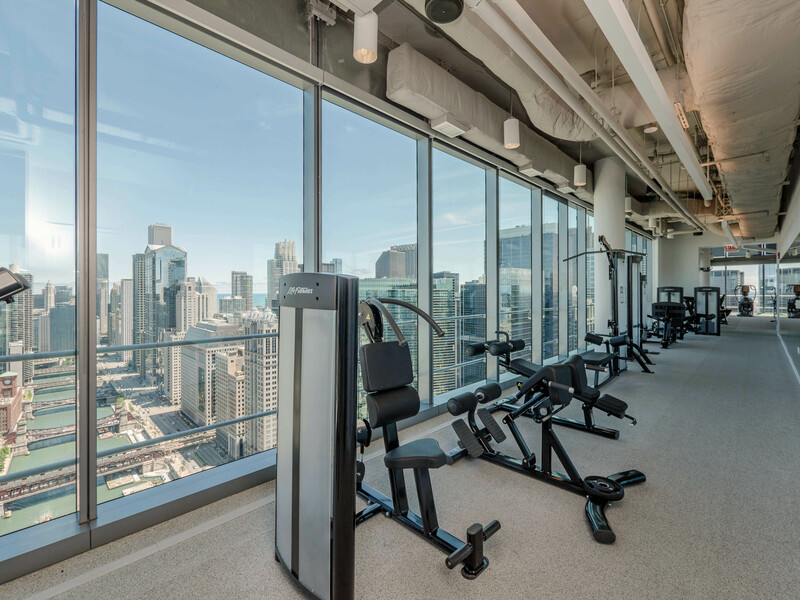 Imagine yourself working out in a soaring space with jaw-dropping views. 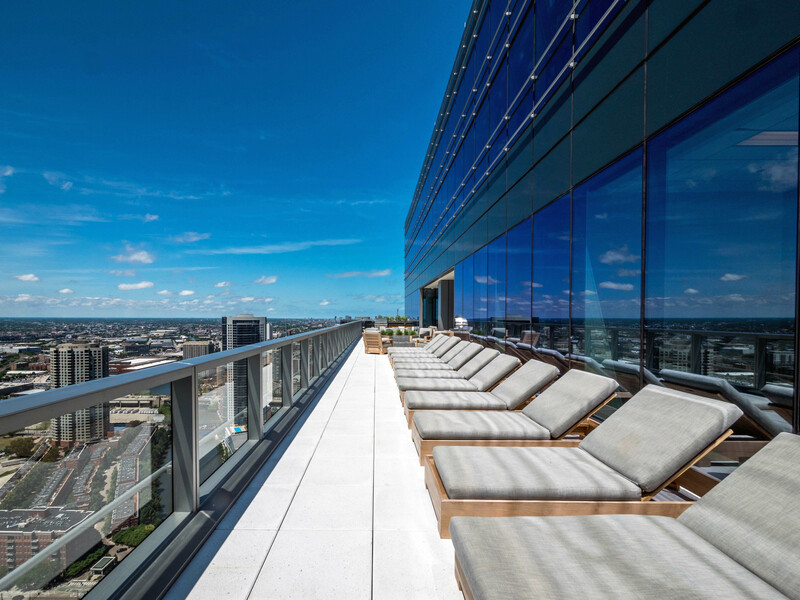 Relax after your workout and enjoy the sun or the sunset on the sprawling, west-facing terrace. 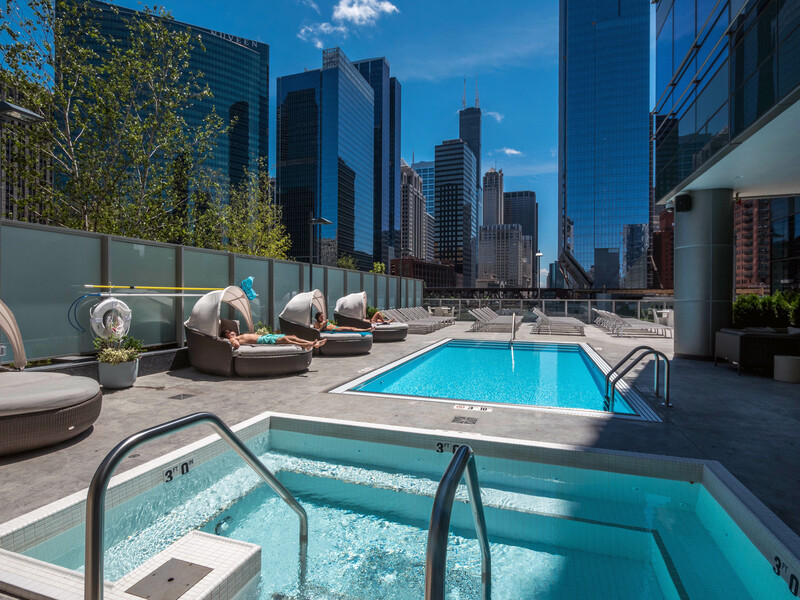 Wolf Point West is a pet-friendly, full-amenity luxury community with additional resident lounge space, a business center, a pool deck with a grilling area, a golf simulator, a riverwalk and more. The leasing office and furnished models are open daily on-site. 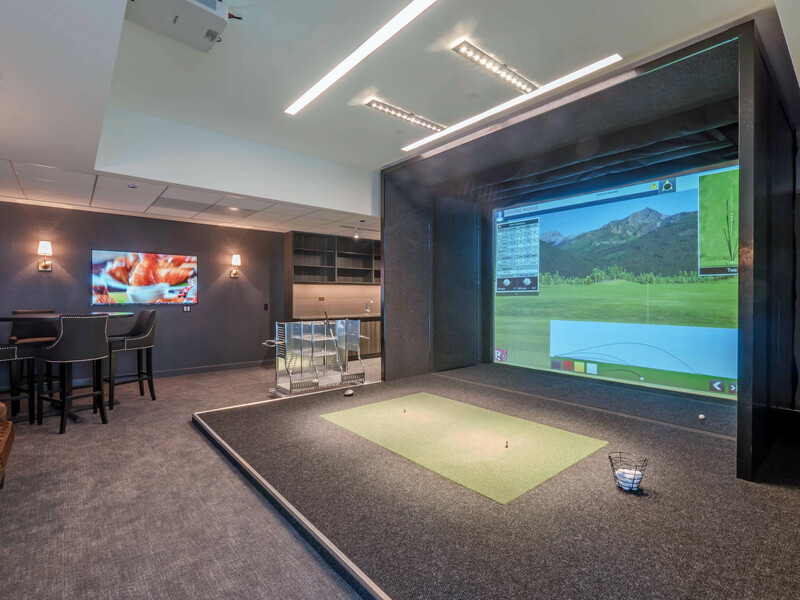 Call 844-WPW-RENT (844-979-7368) or email leasing@wpwrent.com to make an appointment.